When the concrete mixing station have been finished, debugging process is necessary. How to accurately debug it? 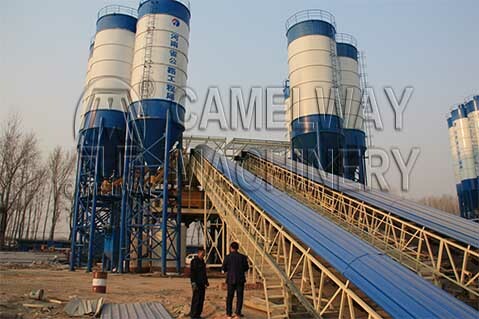 Camelway Machinery will explain it to you. When you debug control system , the first is to t reset the emergency button, close the power switch in electric cabinet, then sequentially close each branch circuit breakers, control circuit power switch, power switch control room, electrical system. If there is abnormal phenomenon, immediately check; open each motor button, try working rotation of the motor is accurate or not, if it is not precise, you should immediately adjust; initiating concrete mixing station pump, in turn initiate various pneumatic door according to the button marked until the pressure reaches the request, check the action is active or not; the microcomputer need get back to zero; check the compressor switch is normal or not, the barometer flash is accurate or not. the pressure of relief valve need accord with the standard planning; mixer for trial work, to see the sound and keep it normal, each member is able to work or not; During the debugging of belt conveyor, it needs to work. At the same time, to check the work of each roller carefully. The belt in the process can not shake, deviate, pass line deflection and be out of shape; when debugging concrete batching, you need to click the button ingredients tomake sure that the flexibility and accuracy, then debugging ingredients reference. After the above sites debugging, concrete mixing station can work! Welcome to contact with us. We will try our best to service for you.